I hope you are as excited for this month as I am. It is of course the long awaited Uranus-Pluto square, now most Astrologers love to bemoan this transit as being disruptive, and possibly catastrophic, this to me is a lack of imagination, an unreasonable attachment to maintain a status-quo that has deeply entrenched inequalities within it, defaulting to a socially constructed idea of human nature (little realizing that even within our biological limits there is a great deal of flexibility in our natures), and being on the “wrong” side of history. When all we see is evidence of a social matrix that systematically denies the implications of the existential threats facing us and willfully continues to perpetuate a business as usual model of affairs it becomes the responsibility of those effected to rebel and innovate and come with new ways of being “human” (and I would go so far as to say transcend human). Our continued collective denial of the reality of Climate Change is just one of many examples of a civilization placing itself on the track towards self-destruct and we have reached a historical flashpoint. Climate Change is a reality our species has faced before and it has greatly played a role in shaping our anatomy and the anatomy of our cultures. The last one (naturally occurring climate shift) ended the Ice Age, created our current climate stasis, and enabled the Agricultural and Industrial Revolutions respectively and ultimately the Information Age we live in now, it wasn’t without its revolutions and massively difficult bottlenecks, we are now approaching a similar bifurcation point in history, one that is now being facilitated by our technological prowess, our dependence on petroleum and our culture of denial, if we fail to make it through this transition and act collectively to address the reality fast impressing itself upon us there may not be a culture left to salvage not to mention it could be a major setback for our species, in that we will no longer be wearing the mantle of technical civilization and could quite possibly be extinct. I realize this is sounding dire and heavy handed consider this a wake-up call and consider the Uranus-Pluto square occurring this month as a crucial time to figure what your personal role is in the transition from a culture of Denial to one that is willing to deal with reality on its terms and recognize that screwing with Nature’s operating system is very bad for business, and also presents grave risks to our further existence here as a species. 12/5: The first touch-off of the square: Mercury Trine Uranus: The two archetypes harmonize incredibly well and it becomes effortless to communicate radical ideas to a much farther reach than usual. A perfect time to use communications technologies to discuss and summarize cogent issues relating to not only collective but personal impact as well. 12/8: Sun Conjunct Mercury: Always an intense transit when it occurs and it does with frequency. Mercury is the closest space object to the Sun and so is usually never more then 1-3 degrees out of radius of the Suns embrace. When it goes conjunct it is said to be combust and Mercury can have some trouble sending out its frequency. This of course is an antiquated notion and I am more apt to say that it amplifies Mercury’s effect making it shine and radiate with the warmth and reach of the Sun. See the above Trine working its mojo and infused into this conjunction and it’s like a loudspeaker than the whole planet can hear. 12/12: Mercury Trine Jupiter: If the conjunction with the Sun wasn’t enough Mercury then makes harmonious aspect to the cosmic magnifying glass. Communicating big, far-reaching ideas becomes the theme over the next few days of this transit. Whether these ideas be for personal benefit or societal transformation now signals a time when they may be heard by larger audiences. 12/14: Sun Trine Jupiter: The Sun empowers the individual as an institution, a human idea relevant to our culture, a time to remind and empower ourselves that an individual conspiring with many others can truly make a big difference on the matters that count advancing the human project forward. 12/15: The MUCH anticipated Uranus-Pluto Square, see below for more details. 12/24: Mercury Square Uranus: System failure, temporary setbacks to our modern technologies, perhaps overconfidence in communicating their true reach leading to misperceptions, watch out for unsupportable claims (remember all innovations usually take 5-10 years to make it to a meaningful impact on the masses). A good time to beef up protections regarding your computers and other devices, the Internet is a wild ecology and still requires one to keep their wits about them. 12/25: Mercury Conjunct Pluto: a need to communicate with a sense of urgency, as our communications systems are swept up in a need to broadcast very pressing matters and are confronted with potentially troubling or transformative realities. It is a time where communications that could change everything are primed to occur. Choose words very carefully they can have deep impact that could dramatically change everything. 12/26: Sun sextile Neptune: Reason is always the more difficult proposition and under these auspices often goes to sleep. It can be very easy to fall for a deceptively inspiring argument, except it means nothing if the evidence is non-existent. Word to the wise question everything, especially the veracity of anything you here over the next week, someone or some institution could be pulling a fast one using a smoke and mirrors technique. 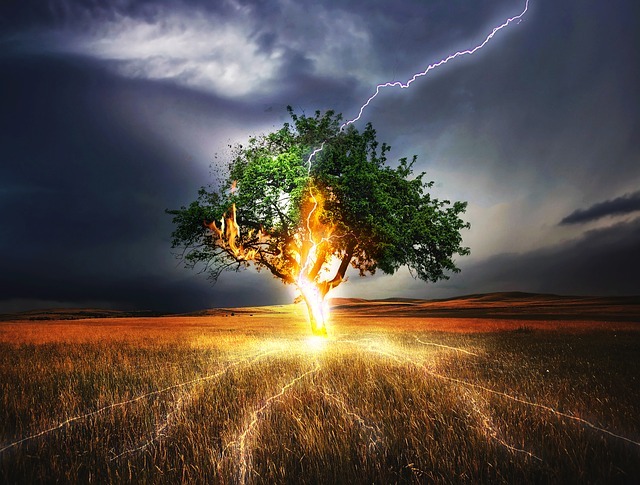 On the other hand it could also be a time when spirituality comes into focus and we begin to think of our transpersonal connections and how we are enmeshed into each other, even if only through the chain of cause and effect. Nature by adapting to new concentrations of greenhouse gases is quite literally giving us collective impetus to insurrection and rebellion against the ethics of our economic model which are outright denying the problem at hand and putting all of us at risk. We cannot go on living as though there are no natural laws or limits to our resource base nor can go on denying the impact our behavior is having we are quite literally changing our world with the power of a force of nature and not to our benefit which would have some logic to it, but to our detriment which is ultimately suicidal. We must face facts, we have placed ourselves as gods on this planet so we had better get good at it to quote the words of Stewart Brand. We must innovate or die, and we needed to do it yesterday. Some Climate Change is inevitable and will require adaptation, planned retreat for sea level rise for the planet’s predominately coastal populations, annual temperatures higher than historical norms, seasons starting earlier than at other times, more severe droughts, storms, and floods, we are intelligent enough that we can use our genius to adapt to these inevitable changes, and act to stem the worst. The situation however is not hopeless, we can prevent the worst from happening if we act NOW! We can avoid more than a 2 degree rise which would be disastrous, we have to explore every single option, even the controversial ones and hope that we are not left with geo-engineering as our only option left, it is quite literally a race to save civilization (as well as an evolutionary catalyst to completely redesign it), and potentially our species. Here is the basic interpretation of this Square, adapted for our times and the crises we are facing: our need to innovate radical solutions is confronted by the pressing evolutionary issues of our current crises, if we fail to do our systems will either topple by slamming into physical limits (or be severely compromised) or be completely changed through unrest and rebellion, or corollary our society will rise phoenix like from the ashes of this crisis (this long emergency), through a combination of dealing with selective pressures as presented by climate change and various other societal bifurcations we emerge an eco-technic civilization, fully carbon neutral, with an array of technologies that have enabled our species to live on this planet in balance with its life support systems. A species rapidly evolving and transcending the limitations of its own evolution, that same species making its way to the stars, spreading the virus of life across the vast abyss, making first contact with other deep stellar civilizations, creating its first colonies on other planets (shamanizing amongst the stars), and ultimately merging with the Universe itself, like Scarlet Johansson’s character Lucy did in the Luc Besson film by the same name. Personally I am choosing option 2 because it beats going back to the Dark Ages and I would like to see our young species make it to true planetary adulthood. That’s it for December Space-Travelers so gird your loins, and helmets on as we blast into hyper-space or just a new year, with many exciting changes in store!!!! Lucy Film, released July 25th, 2014, Directed by Luc Besson, starring Scarlet Johansson and Morgan Freeman, Production companies: Canal, Cine, and EuropaCorp. Whole Earth Discipline, Stewart Brand, Penguin Press, released September 28th, 2010, Nature books. Don’t Forget to Join me and HiC Luttmers for the broadcast of this post and many more fascinating occult subjects, Sunday December 14th at 10:30am for (r)Evolution with HiC, it’s out of this galaxy!